For the 50 and older crowd, this is a long, arduous trek. It is a wonderful experience and a great opportunity to test your fitness. 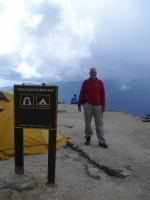 Our trek totaled 42 miles, and was a great experience. 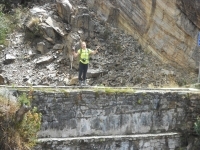 The terrain was quite varied from alpine meadows to the jungles. Water was everywhere including great waterfalls and a glacial lake. 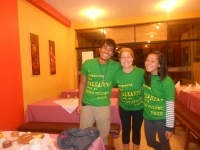 Are you ready to conquer the Salkantay Trail ? 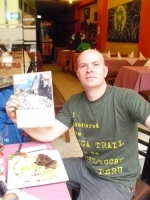 It was such a great experience and I can only recommend it to anybody who would like to challenge himself while enjoying the beautiful nature and culture of Peru. The trip was a one of a life time ! The guides were so nice and helpful, the trail could be very difficult at times but they were there to help you every step of the way. The sights were breathtaking and truly amazing. 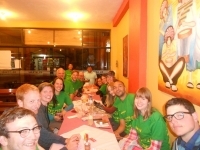 The food was great, every meal and the locals nice. 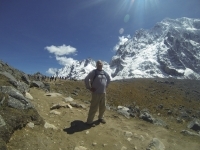 A truly amazing trek. The guides where very professional and nice. The trip would have not been the same without them. 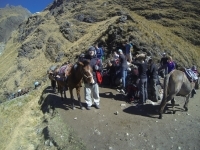 I would recommend everybody that is interested to have nice adventure to go with Salkantay.org - Inca Trail Reservations. You won't be disappointed. 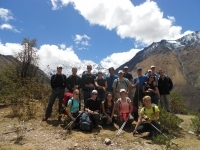 We highly recommend this memorable adventure across the Salkantay pass and through the high jungle to the impressive approach to Machu Picchu ! 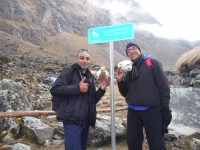 This trek features remarkably diverse landscapes, from cold high glacial passes to warm humid jungle trails. 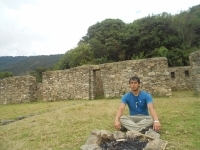 What a perfect way to see the ancient land of the Inca. Crossing the bridge the adventure started. A good night sleep after a wonderful first meal by our cook team. Up and up, step by step, that was the challenge ! But together with the team we made it. Then down down down, again step by step. The magnificent weather and view made it all a lot easier. Started from the bottom … Now we’re here ! What an incredible adventure ! 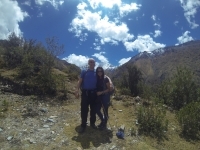 The entire trip (Salkantay 4 day trek) was a whirlwind from start to finish. As I am not an avid hiker nor an athlete in any means, I was definitely scared for the trek but thank god I had Hilton, Juan Carlos, and Marcos as tour guides ! Un'avventura e un'esperienza fantastica ! Durante il trekking puoi vendere micro climi differenti ... Passi dall'inverno al caldo quasí tropicale ! Complimenti alle guide Carlos e Nemias competenti e pronti a resolveré ogni imprevisto e Che hanno fatto sentiré un grupo di 10 persones conosciute prima di salire sul bus come una famiglia !